Stock Low : 163 items left. Enhance your silhouette in the show-stopping Capture Ruffle Dress, the latest in the new range of classic yet trendy summer pieces. 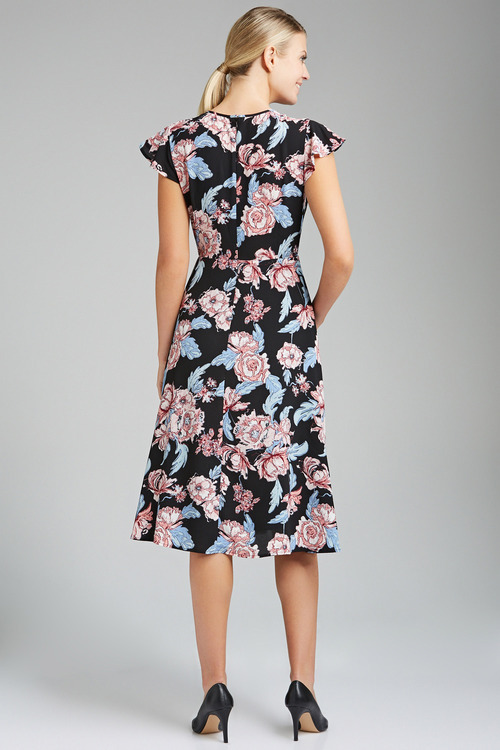 Available in a versatile black or elegant floral, this dress is designed in a flattering fit with ruffle detail to the sleeves. It's cut from a textured polyester and elastane blend, with a centre back zip closure and a comfy skirt lining. Perfect for spring or summer parties or even a weekend brunch, this dress looks great with anything from strappy heels to slides or sneakers.